January | 2015 | Superhero etc. Hello interweb, Nate here. A while ago (can’t remember when) PopcornandJellybeans requested a character bio about Ant-man (I assume do to the upcoming Ant-man movie). 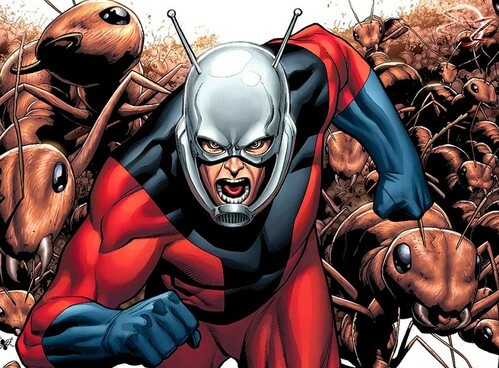 While I had this bio almost finished, I learned that the Ant-man the movie will be focusing on is not Hank Pym, but his successor Scott Lang. This ticked me off (pun unintended) not only because that mean I’ve been spending weeks working on the Character Bio of the wrong character, but the Ant-man I personally have been waiting to show up ever since the first Avengers movie came out won’t be coming. Either way, I’m not going to let this change make me throw away this bio simply because they chose the wrong Ant-man so here you guys go. Whether or not I’ll do Scott Lang is unknown right now, I may do him closer to the movie’s release date (July 17) or not at all. Either way here’s Hank Pym’s Character Bio, you can see my other Character Bios here. Hello interweb, Nate here. No, this is not a “Gotcha!” post, Marvel Comics has recently announced that they are going all Flashpoint and New 52 on us and totally rebooting the multiverse. I go more in-depth about this reboot below but I just want to tell you guys that my Ant-man Character Bio will be posted on Friday. Like I said last week, I have the Bio done and was going to post it today but I really wanted to talk about this. I’m doing it Friday because I don’t want to hold it back anymore so I should post it some time this week. Hello interweb, Nate here. So everyone knows about Martin Luther King Jr. and how he fought for Black-American’s rights and all that right? I could go on about his history but you guys probably have either heard the story countless times or you have some books lying around your school’s library. Despite me brushing this story off to get to the list, this is a very important holiday and as thus should have a list dedicated towards it. So in celebration of Martin Luther King and his “I Have a Dream” speech, I’m counting down my Top 10 Favorite Black Superheroes. Hello interweb, Nate here. So not too long ago, the YouTube channel VariantComics (who you guys definitely need to check out if your a comic book lover) created their (or his?) Top 10 Best Spider-man Costumes! and we all know I like doing things other people have done but putting my twist on it. I also felt the need to do this list as the more I though about it the more I realized that there are a lot of awesome Spider-man suits made that didn’t make his list that I absolutely love. So if you want to see his list, click the link above. But here’s my favorite costumed owned by a Spidey character! Happy New Year interweb, Nate here. 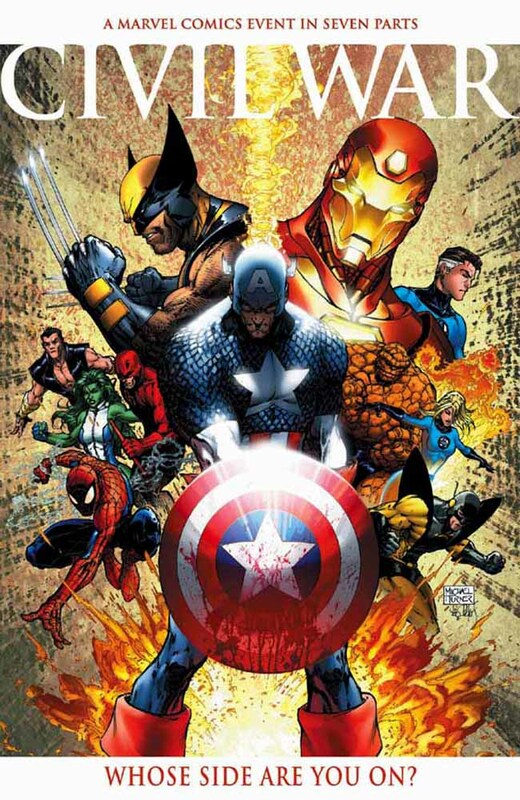 So the schedule of this post is kind of confusing as I meant for this to be my very first post on my blog of 2015, but obviously it isn’t since yesterday I posted my Civil War Review as I’ve been holding back on that post for quite some time now and I felt that it needed to get posted. So while this technically isn’t the first post of 2015, I might treat it as it is as there are things I plan on doing with this new year. Before I get to talking about what’s yet to come I should get us introduced to this post. So I’ve had this blog for 9 months now (excluding this month), I have a total of 49 followers, and my most viewed post has had 273 views. Now in comparison to other big blogs that may not be that big, but I’m 15-years old I have 49 people who has basically said “I like the content on this blog” and my most viewed post has 273 views. Honestly, how many 15-year old can honestly say what I have just said? Not a lot. So honestly, thank you guys for reading this blog and supported me through 2014. And I bet this paragraph has definitely shown that I’m a modest person :P. So this post is going to be based purely by views. No favoritism, no biases, no anything in that nature (except I am taking the Character Bio Format as that’s technically isn’t a post and would have normally made the number 5 spot on here). With the upcoming posts I have several things in the works. 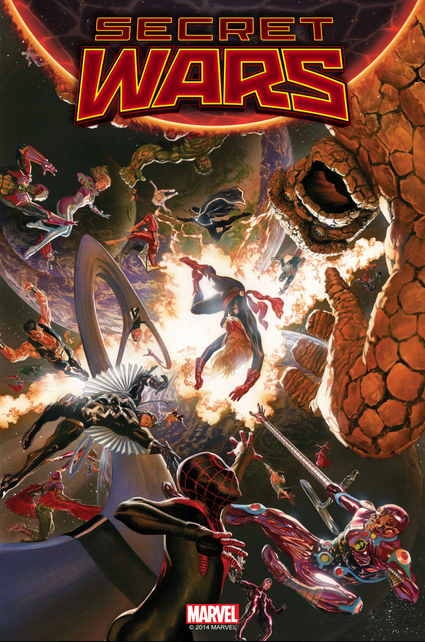 For one my Ant-Man Character Bio is almost done and originally I was going to wait til closer to the release date, but considering that this thing comes out in July I’m probably going to simply post it within a couple of weeks. I also have several other Character Bios and Character Compares in the works so keep an eye out for those. I’m just going to go ahead and spoil one of each, for the Character Bio you can expect to see one on X-23 and a Character Compare comparing Green Arrow to Hawkeye. There is also a brand new series that I have planed that will probably debute some time this month or early on next month. So a huge chunk of 2015 will be the usual Top 10s (or 5s), Character Bios, Character Compares, and an unannounced series. And with that monster of announcements, let’s go over to out list! Hello interweb, Nate here. Sorry this review is so late but I’m reviewing all 7 issues so this is an unusually long post, on top of that Christmas and New Years held back this review even more, and overall this review just took a lot of time out of my life. I ultimately decided to post this a day early as tomorrow I’m going to do my New Years special (My Top 10 Posts of 2014 based on views). So with that said, yes I am going to review all 7 issues so this post might be longer than usual. If you’re a fast reader and my posts usually don’t take long for you to read, than maybe this post won’t be too long but just keep that in mind.